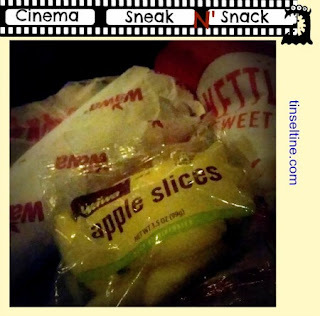 It's the Memorial Weekend once again and that brings with it the start of summer movie blockbusters! I used to get depressed if I didn't have specific plans for this weekend which officially starts the season of summer, preferably plans that involved going away for the long weekend. But that's one of the funny things about time, at a certain point you learn to make do and find comfort in what is available. And so I found more than comfort, but true pleasure and exhilaration in getting out of work at 3:30pm on Friday, heading to Wawa for my Cinema Sneak n Snack and then proceeding to the movies to see back to back Captain American: Civil War and X-Men:Apocalypse! A couple days earlier, I got to see the preview screening of Alice Through the Looking Glass (Director James Bobin) and what I notice about all three movies is how much time plays a part in wreaking havoc on the present. Literally in Alice Through the Looking Glass, where time is personified, (Sacha Baron Cohen) not as a villain, yet smug in his immortality, matter of factly snatching the timepieces representing people's life spans out of the clouds, and denouncing their time is up. Signifying the fact that we are all at the mercy of time. Even Alice (Mia Wasikowska) who fervently believes in 6 impossible things before breakfast, knows that time has the final say on death and can't get behind her friend the Hatter's (Johnny Depp) notion that his family, the hat making Hightopps, [of which he was estranged, being the black, rather colorful sheep of the family] could still be found or brought back after being incinerated by the Jabberwocky so many years ago. And in fact, through all of Alice's time travel, which includes witnessing the childhood break between Mirana, The White Queen (Anne Hathaway) and Iracebeth, The Red Queen's (Helena Bonham Carter), we learn that time can destroy the present or be examined to learn from the past, but can't truly be changed. Captain America: Civil War (Directors Anthony Russo, Joe Russo) is all about the past still informing the present. For Steve Rogers (Chris Evans) the time he spent growing up with Bucky Barnes (Sebastian Stan) feels like it was yesterday, seeing as they both lost so much time in suspension. The loyalty Rogers feels towards Bucky has not been dimmed by time, so no matter what heinous crimes and assassinations Bucky committed as the Winter Soldier, he sees a time when they were young and innocent. There's a moment when they're reminiscing about a girl they used to know and Bucky says, she must be 100 years-old now, and Captain America lays his hand on Bucky's shoulder and says, so are we Buck. It's this connection to the past that allows Steve/Captain America to create the Civil War among his fellow Avengers. It's also memories of the past which drives Iron Man/Tony Stark (Robert Downey, Jr.) into creating a simulation machine to try and re-live and change the exchange he had with his parents the last time he saw them before their death (That CGI technique which made Downey look 30 years younger was pretty cool!). This event is also what drives him into unrelenting battle with Captain America, as past grief becomes more important than the matters at hand. 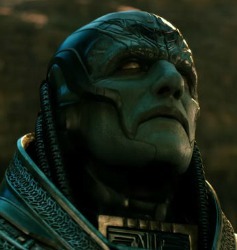 In X-men: Apocalypse (Director Bryan Singer) the past catches up with the present and also wreaks havoc [Actually, spoiler alert - we lose Havok (Lucus Till)] in the form of the first mutant who hearkens back to Egyptian beginnings - En Sabah Nur (Oscar Isaac). Throughout history Nur has been able to transfer his soul into a mutant with greater powers, while still retaining any abilities gained through former transitions. Nur, an incarnation which puts me in mind of the History channel's "Ancient Alien" series, also lost years in suspension, but far more than a few decades, and he's not happy with what time has done to the world since he's been gone; so he gathers up the mutants he needs to create an Apocalypse, in order to start time anew. We're also dealing with time, as X-Men: Apocalypse is still in prequel mode. This time we get to meet youthful versions of Storm (Alexandra Shipp), pre-white hair, Jean Grey (Sophie Turner) who has an early run in with Wolverine (Hugh Jackman) and Cyclops (Tye Sheridan) whose first set of eye wear had to be taken off and on, like reading glasses. And once again, my favorite Quicksilver (Evan Peters) has a great scene which defies the laws of time by moving faster than light to save the students at Xavier's school for gifted youth. Side Note: In Alice Through the Looking Glass, the Mad Hatter is not all that mad, he's sad. And by seeing him as a child with his family it makes him less magical and more human, certainly not the guy capable of doing a kooky, 360 degree head spinning Futterwacken. I'm not sure it's a criticism of the movie, just an observation. Side Note: X-Men: Apocalypse - It looks pretty good in this image, but really the make-up and costume on En Sabah Nur wasn't quite right, nor was Isaac's interpretation of the character - instead of menacing, intimidating and omnipotent ruler, I was getting grumpy, ill tempered Muppet. It doesn't ruin the movie, but a better villain would have made it stronger. Side Note: In Captain America: Civil War most of the movie is very serious minded except for humorous battles scene which pits Avenger against Avenger, yet loving these characters as I do, it's actually the hardest part to take.